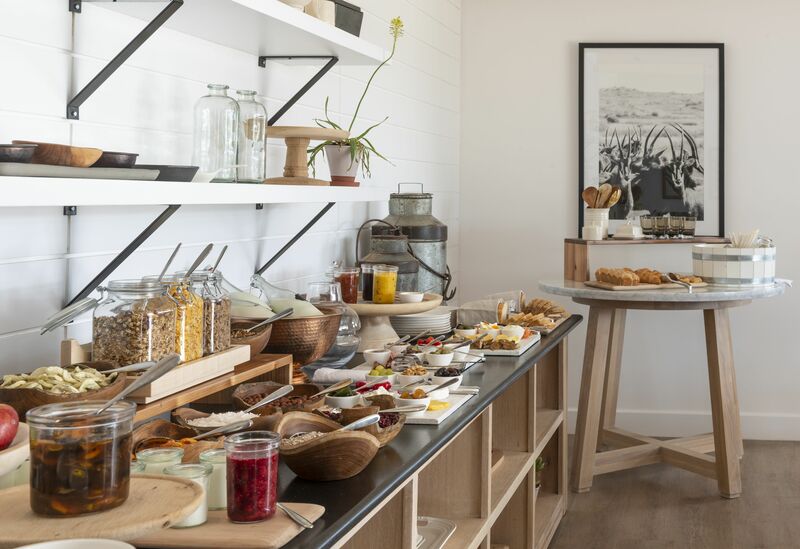 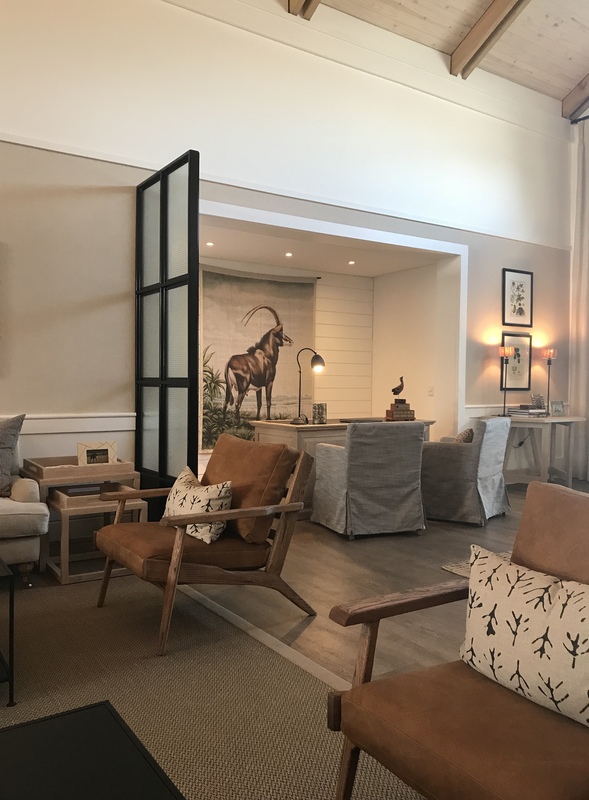 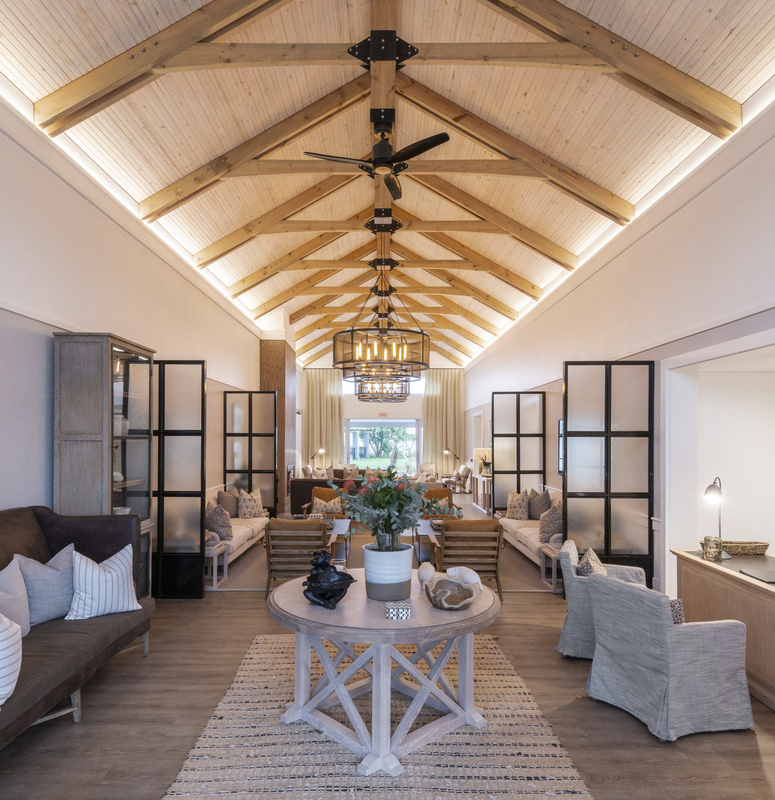 An elegant family homestead, this lodge has been designed in a modern barn-style aesthetic, with exposed trusses and beams, sliding barn doors and warm timber floors. 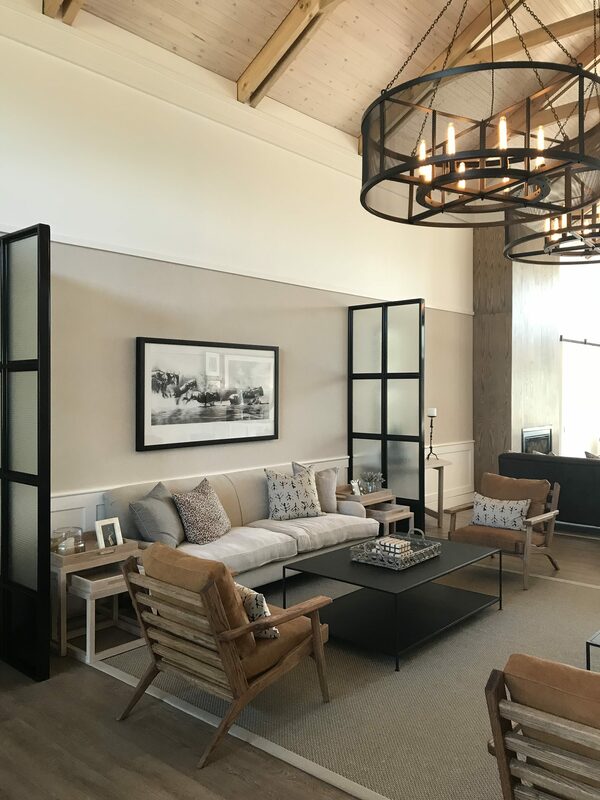 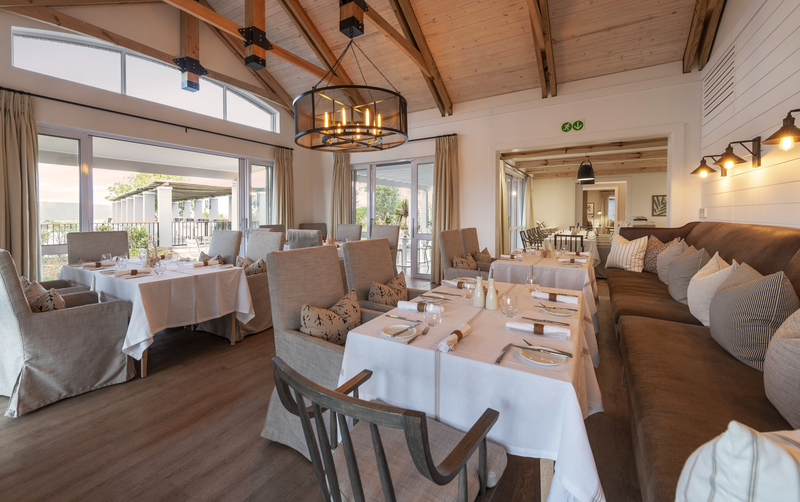 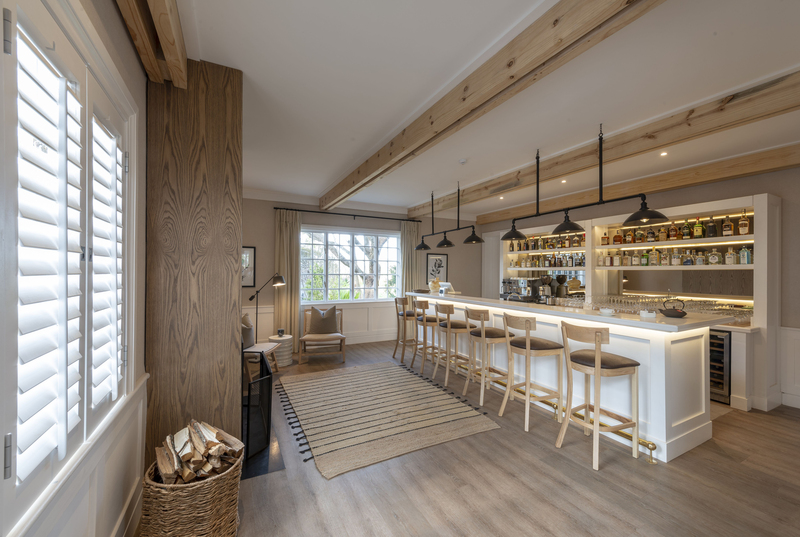 The lounge and bar have large fireplaces and slightly industrial styled pendant lighting hangs from the beams, while the dining room has a cosier feel with lower ceiling spaces and warm drapery on the windows and doors leading to the wrap-around terrace. 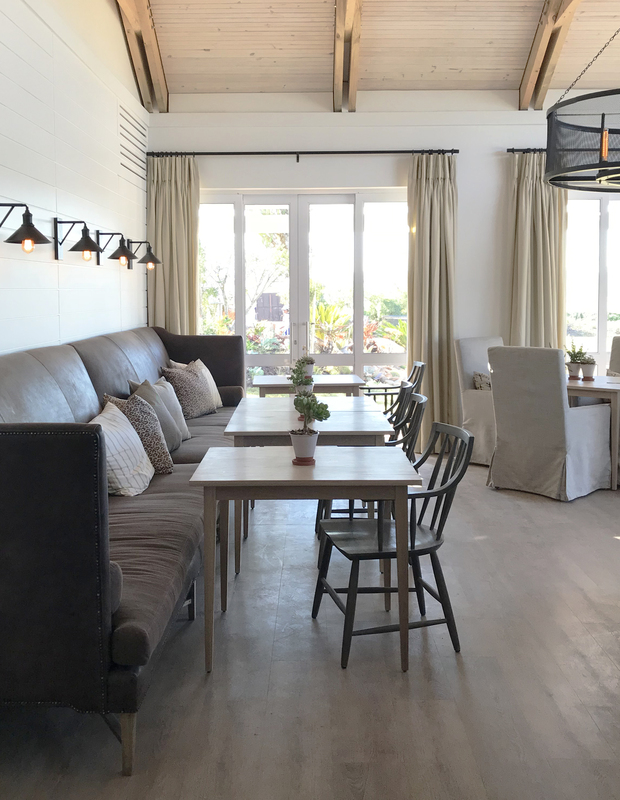 The spaces are decorated with slipcovered sofas and chairs and quirky timber pieces. 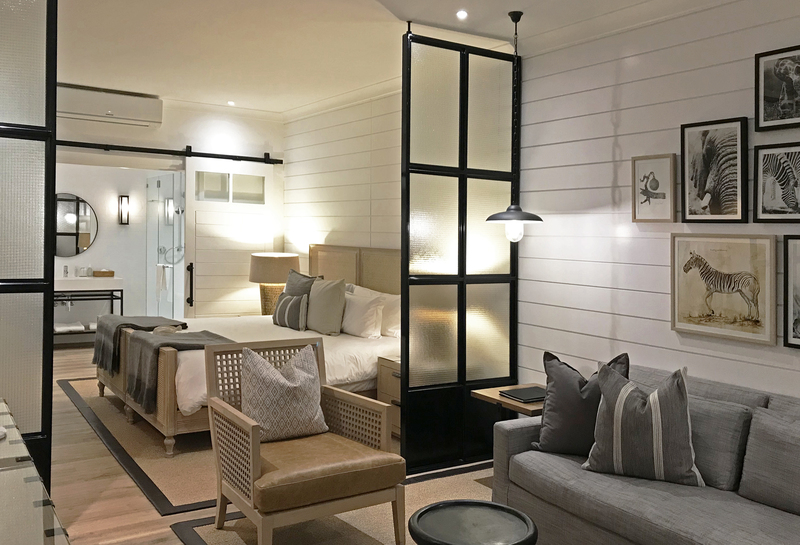 Guest rooms have a large family-sized bathroom and a generous living area, timber paneling and wicker warm the space and help bring the farm-style feel to the spaces. 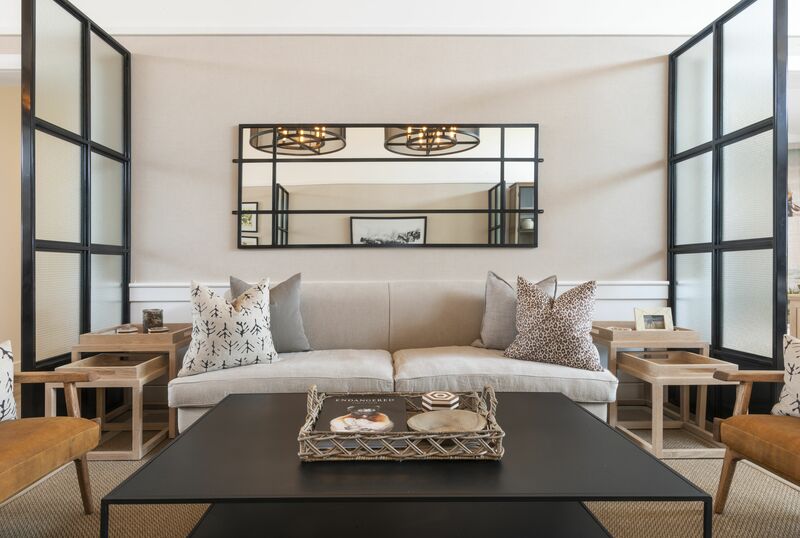 The interiors are kept clean and fresh, using chic black metal accents to create interest and help define spaces within the rooms.